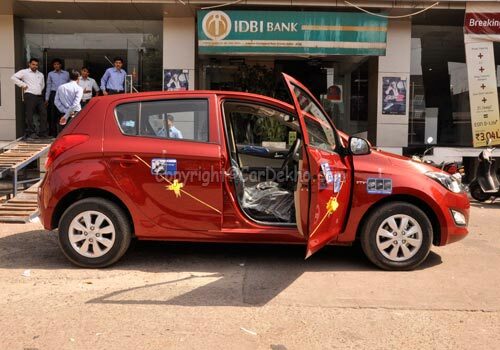 The South Korean automobile giant Hyundai Motors have launched their all new iGen Hyundai i20 hatch back yesterday for the Indian customers. This new hatchback from the reputed stables of Hyundai Motor India Limited will be offered in petrol as well as diesel variants. 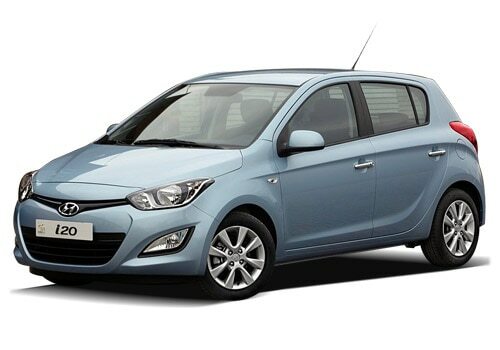 The New Hyundai i20 price range for the petrol versions is between Rs. 4.73 lakh to Rs. 6.65 lakh and the diesel versions come in the bracket of Rs. 5.96 lakh to Rs. 7.44 lakh. There is also another automatic version offered with a petrol car engine, which will be priced at Rs. 7.67 lakh, all the prices mentioned are ex-showroom New Delhi. This attractive hatch is very elegantly designed with smooth and curvy body lines and a striking front façade that houses the head lamp cluster as seen in the New Hyundai i20 pictures. The front radiator grille has the company’s logo on it and the front bumpers are integrated with bigger fog lamps for better visibility. According to a New Hyundai i20 review, this striking hatch back is equipped with a 1.2 liter Kappa petrol engine with a dual Variable Timing Valve Train (VTVT). While, the diesel version has a bigger 1.4 liter CRDI engine capable of churning out a peak power of 90 Ps. Both these variants will be equipped with a 6-speed manual transmission and will have engines with 4 cylinders car . The automatic version will be integrated with an automatic gear box transmission with a 1.4 liter Gamma petrol engine with a capacity to deliver a peak torque of 13.9 Kgm along with a maximum power of 100 Ps. The company has added a lot of advanced features as well to attract the customers as well. Meanwhile, in the coming month of April, the Indian car market is going to be abuzz with several new launches. Maruti India is launching their MPV – Maruti Ertiga, Volkswagen Jetta and Chevrolet Captiva is also in the pipeline as well. Tata Motors’ will also be launching their muscular SUV – Tata Safari Storme for the country’s car enthusiasts. Chevrolet Beat Diesel came up at the correct time as the international car industry is bloodthirsty.